If you see a spill during business hours of 8:00 a.m. to 4:00 p.m. please call 304-574-0101. After hours or for a large spill please call the WVDEP spill hotline at 1-800-642-3074. 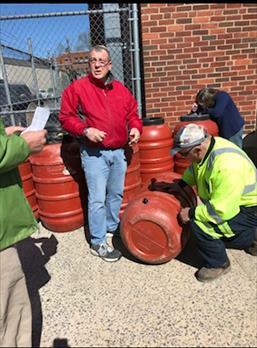 Rainwater runs across parking lots, roofs, streets and driveways picking up pollutants along the way. This polluted runoff then collects in the Town of Fayetteville’s storm sewers. Most of the water then travels directly into rivers and streams. 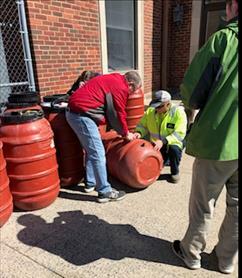 What is the Town of Fayetteville required to do with the storm water? The Town of Fayetteville is a Federal EPA designated Small MS4 stormwater community. (MS4 stands for Municipal Separated Storm Sewer System.) This means that the town must actively manage stormwater to the Federal EPA and West Virginia DEP standards. The town may be subject to significant penalties for failure to comply with the Federal requirements. What are the benefits of stormwater management ? By enacting stormwater management, the Town of Fayetteville will be in compliance with Federal and State mandated requirements. Stormwater management also improves the water quality in our local watershed and works to reduce flooding. A watershed, sometimes referred to as a stormwater drainage basin, is an area that drains naturally into downhill streams and rivers. The Town of Fayetteville drains into six (6): Marr Branch, Wolf Creek, House Branch, Crooked Run, Laurel Creek and the New River. 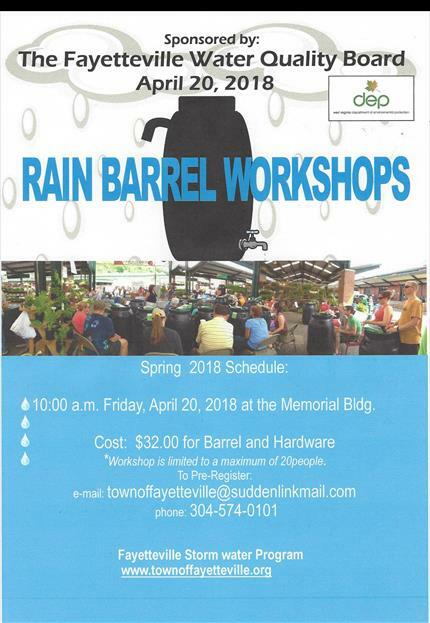 Last year the Rain Barrel Workshop was a great success-so it’s time to do it again! 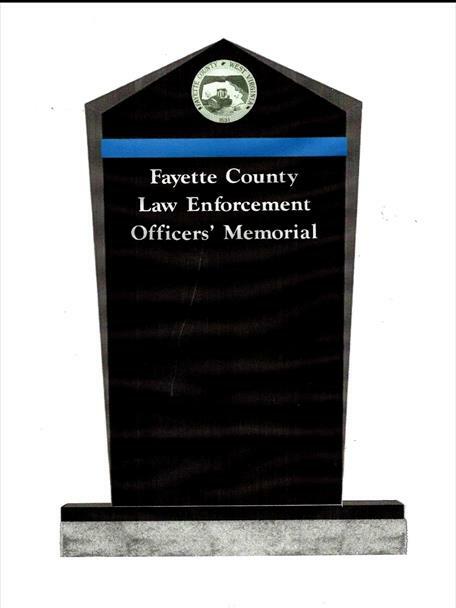 April 22, 2019 at 10 am at the Fayetteville Town Park Amphitheater-Reserve your spot today! Only 30 spots available.